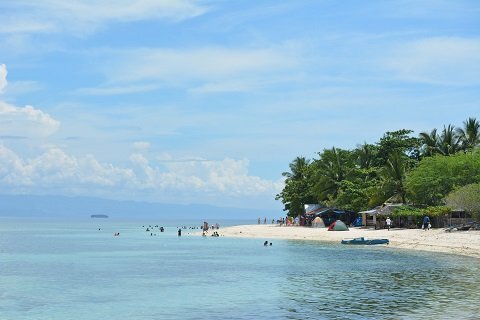 There are several beautiful white sand beaches in the Philippines and one of them is the hidden Lambug Beach in Badian Cebu. 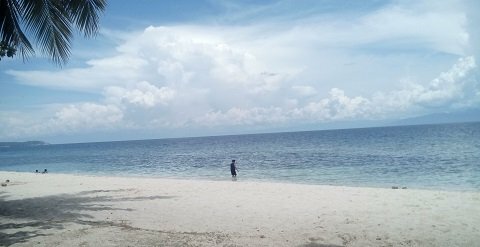 This lovely beach lies in the southern part of Cebu, which is about three hours by bus from Cebu City’s South Bus Terminal. Beautiful beach resorts in Cebu are usually expensive and mostly require early bookings and registration especially during the summer season. At Lambug Beach, you do not have to spend too much to experience a secluded beach front getaway with your family, friends or a special someone. If you do not have a car then it’s best to travel via bus. 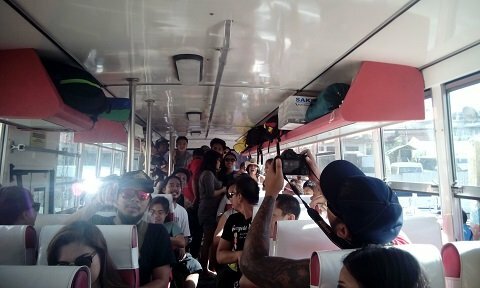 A Ceres bus ride to the Badian town center would cost 120 pesos per person. On the way to Badian, you will pass by several towns – Barili, Dumanjug, Ronda, Alcantara and Moalboal. 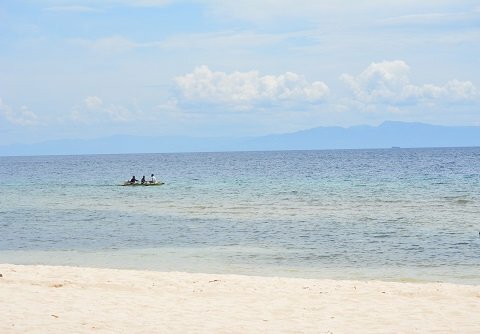 Once you arrive at Badian town, you can ride a tricycle or multicab to Lambug beach for only 20 pesos per person fare. Upon arrival, I was very excited to see the beach for the first time. The view was beautiful – powdery white sand, clear blue water and clear skies. There are no high-end hotels by the beach but there are a few cottages and villas for rent in the area. Manang Virgie’s Beach Resort offers two big villas or houses. A fan room can accommodate eight persons and only costs PHP1,200 (about USD $28). 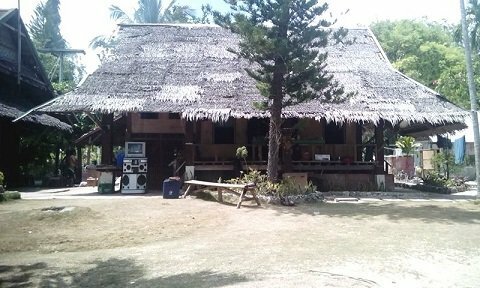 You can also rent a big cottage house overnight for PHP2,500 (USD $57). 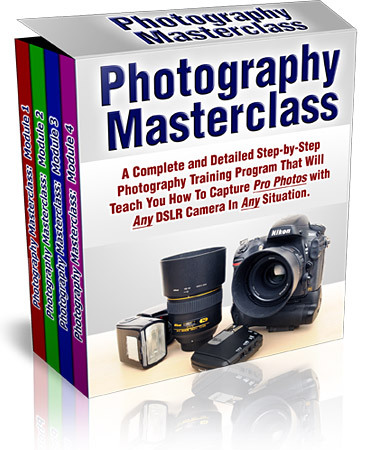 This is very affordable for families and a group of friends. 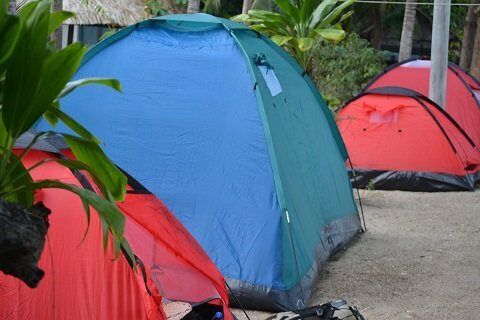 I like the idea of spending the night inside a camping tent so we did just that. 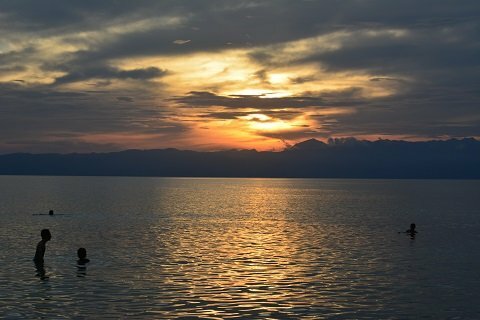 The sunset was very beautiful as we took a dip into the cool waters. 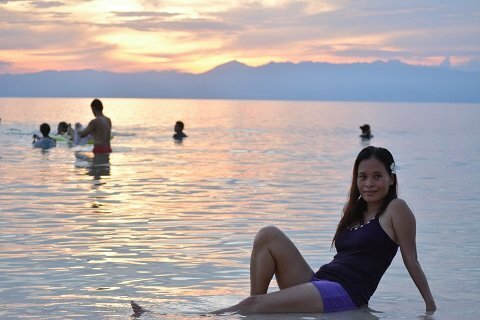 Relaxing while waiting for the sunset.. If you’re looking for more luxurious accommodations or wanting to experience relaxation at a premium resort on the island, check out our post about Badian Island Resort and Spa, a five-star resort with a private beach and pools and a spa village. It is much better to bring your own food and drinks as there are no restaurants in the area. There are designated areas at Manang Virgie’s place where you can cook and barbecue. If you run out of food, there are a few carinderias (small eateries) near the beach entrance where you can eat and buy food. We had hot noodles at one of the carinderias before we headed home. This secluded beach is usually peaceful and quiet at night, but if there is a group party going on at the resort you are staying in, expect to hear some loud music and some singing as karaoke machine rentals are available. Lambug Beach is near Kawasan Falls and Cebu International Golf & Resort. This is our chance to visit Kawasan Falls after so many years. 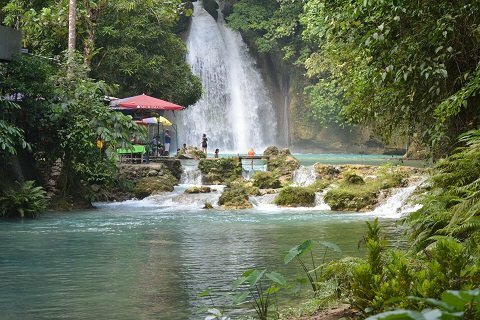 A 15-minute motorcycle ride to Kawasan Falls cost us 50 pesos each and it was again another memorable and adventurous experience. Upon arriving at the Kawasan entrance you have to hike another 30-minutes to reach several waterfalls. 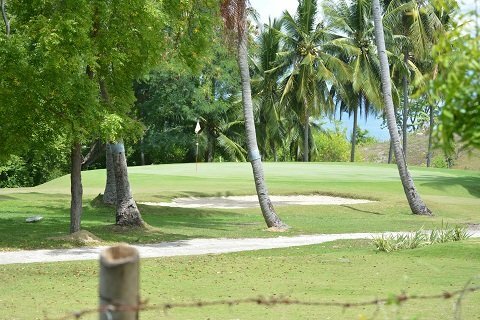 I was also surprised that Lambug beach is just a few meters away from a well-manicured 18-hole golf course and resort. The golf course also offers room accommodations and villas. For reservations to Manang Virgie’s Beach Resort, you can call these numbers 09261745671, 09359251828, 09067378068. Have you visited Lambug Beach? If so, then share your experience in the comments below.